Gyalsé Lharjé (Tib. རྒྱལ་སྲས་ལྷ་རྗེ་, Wyl. rgyal sras lha rje) aka Gyalsé Lharjé Chokdrup Gyalpo (Tib. འརྒྱལ་སྲས་ལྷ་རྗེ་མཆོག་གྲུབ་རྒྱལ་པོ་, Wyl. rgyal sras lha rje mchog grub rgyal po) — the second son of prince Mutik Tsenpo, and the immediate reincarnation of King Trisong Detsen. 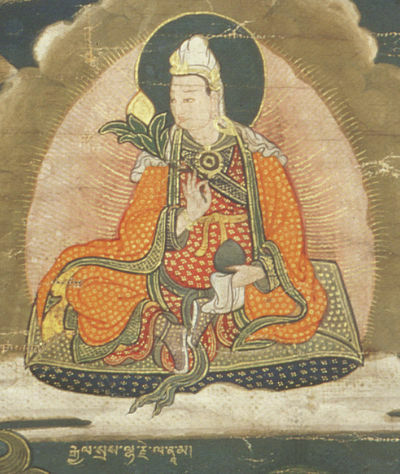 Jikmé Lingpa is also counted as an incarnation of Gyalsé Lharjé. This page was last edited on 1 April 2018, at 22:15.